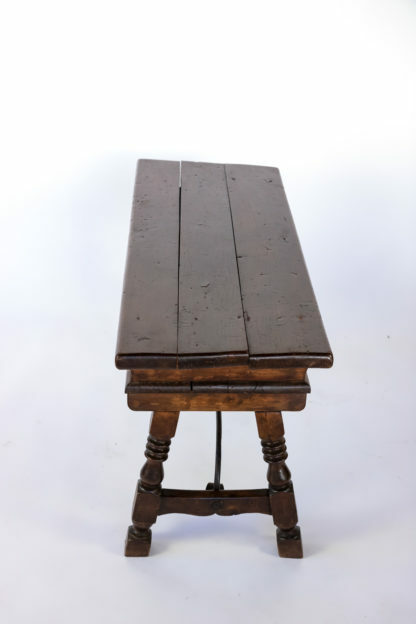 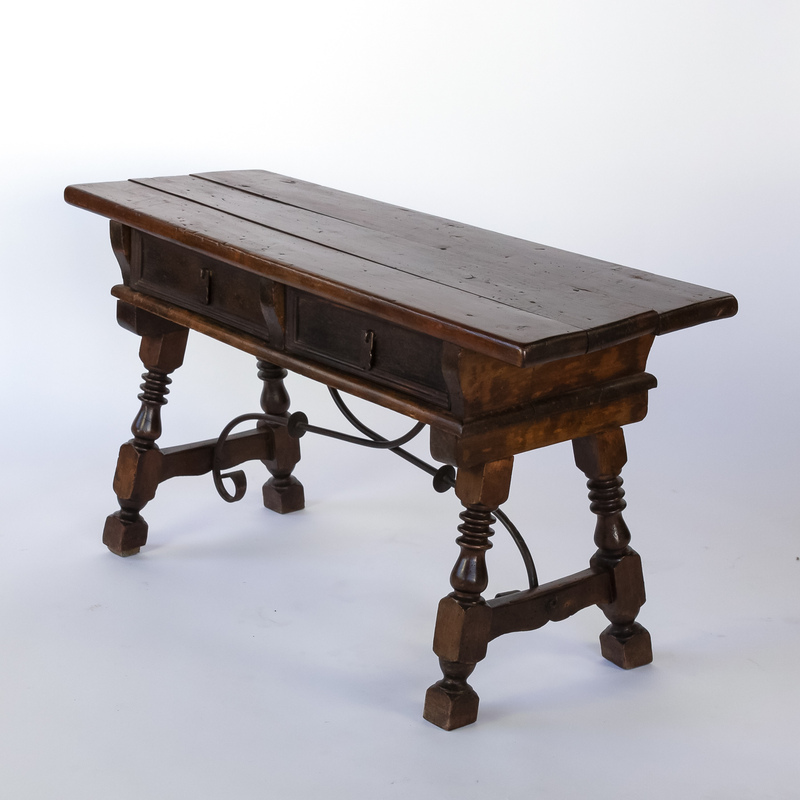 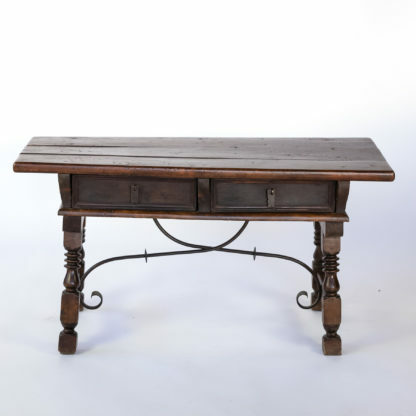 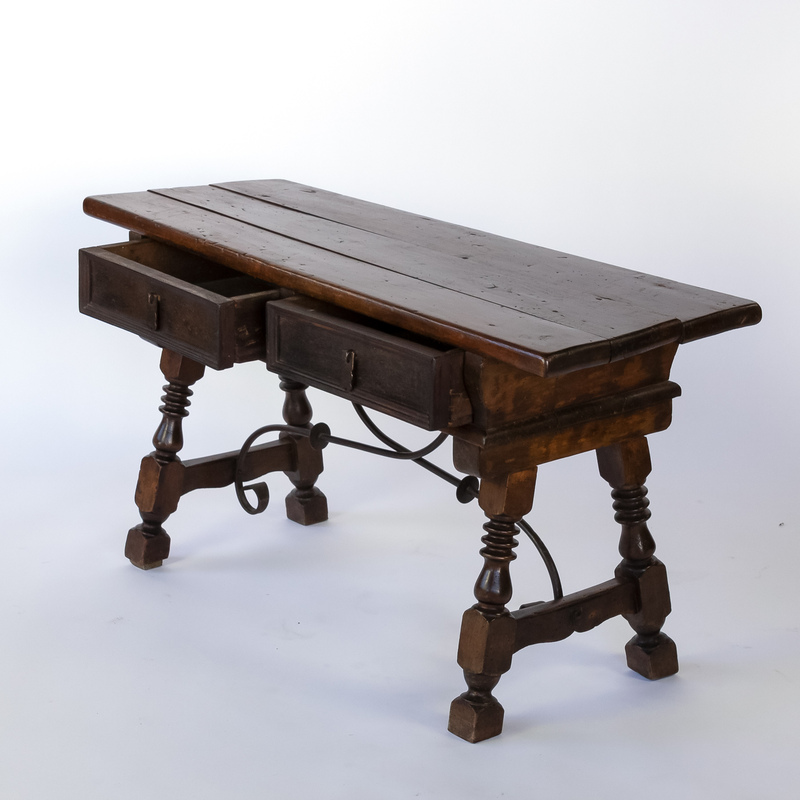 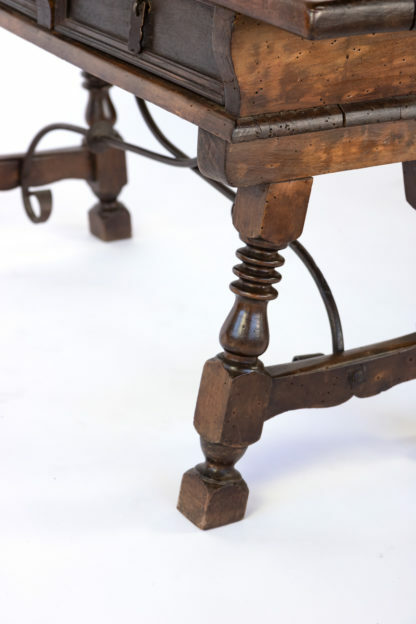 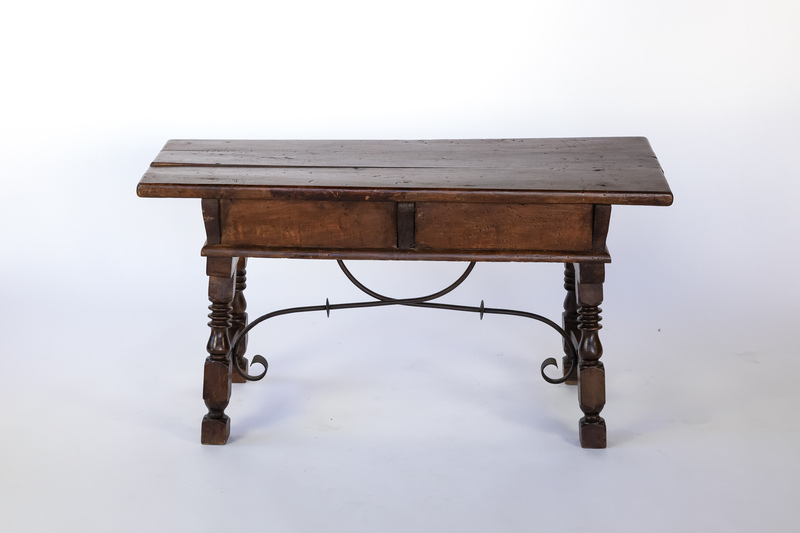 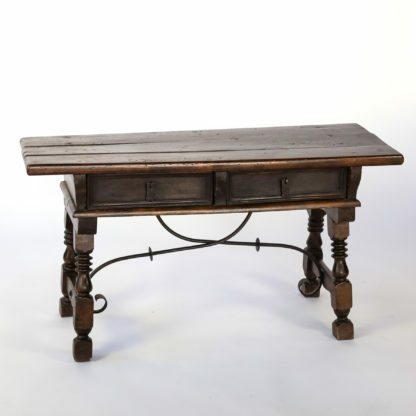 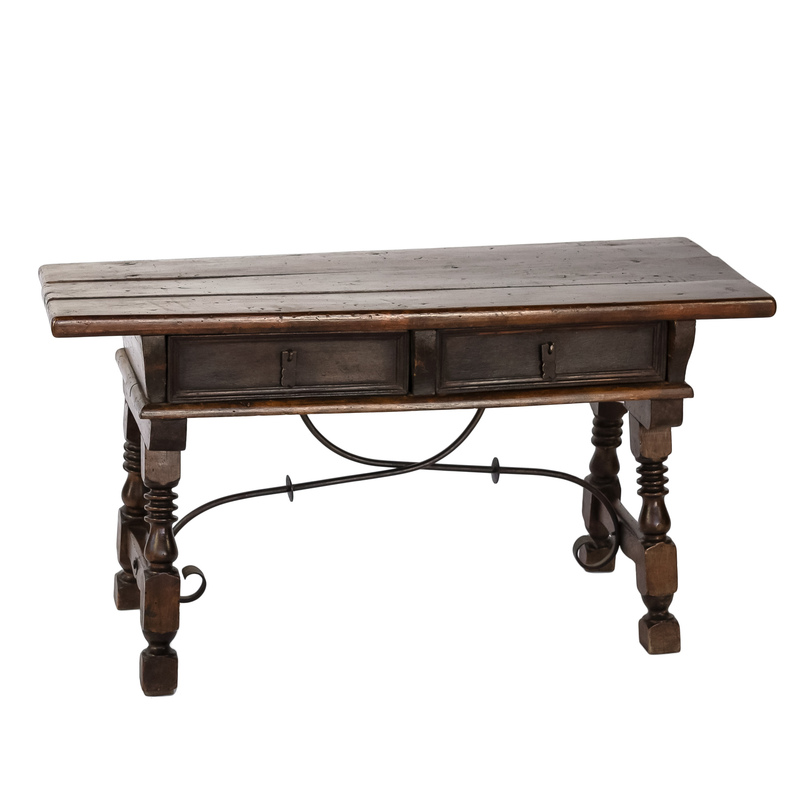 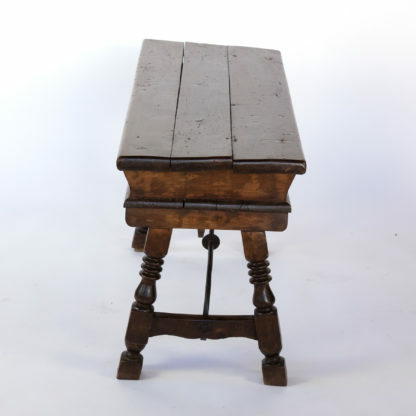 Home / Tables / Trestle Tables / 18th Century Spanish Walnut Two-drawer Low Trestle Table With Turned Legs, Circa 1780.
height: 24 in. 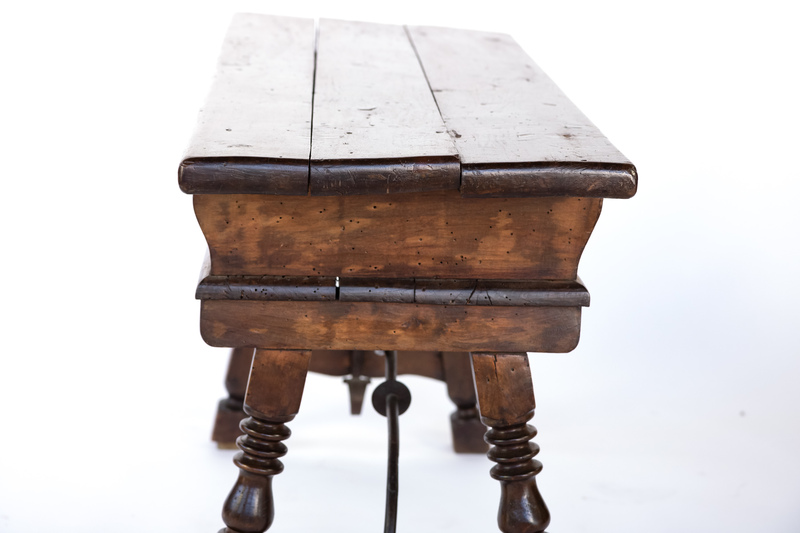 61 cm., width: 44 in. 112 cm., depth: 16 in. 40.5 cm. 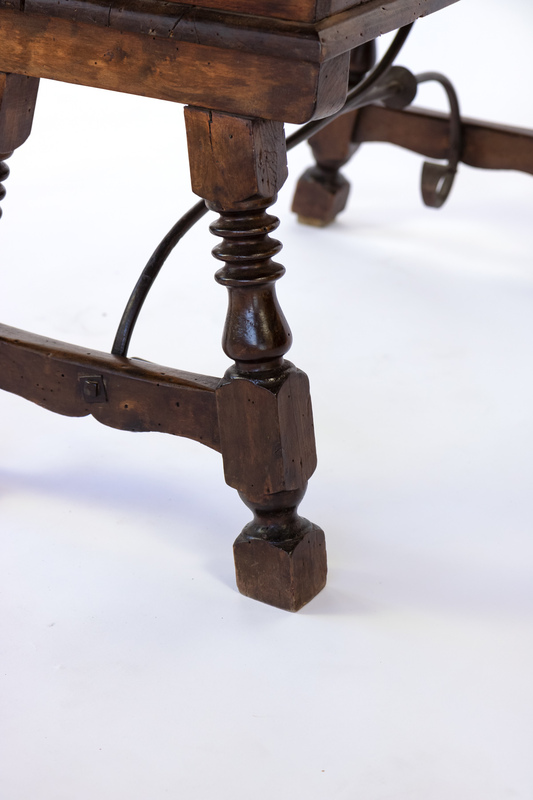 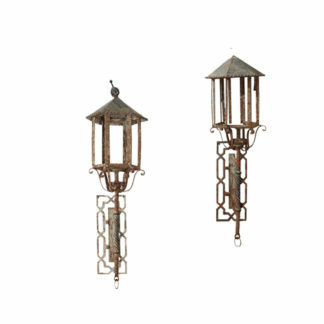 consistent with age and use; evident wear and imperfections. 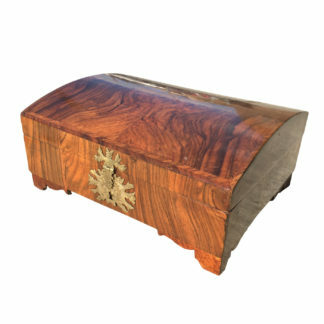 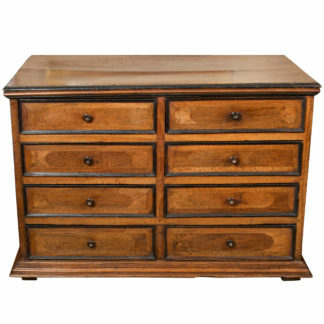 18th Century Walnut and Feather Banded Dome Top Box.